The search continues for two Kennebunkport, ME men, 21 year old Zachary Wells of Burlington, VT and 23 year old Prescott Wright of Barnstable, MA. Both men are students at the Landing School in Arundel, ME. According to Kennebunkport Police Chief Craig Sanford, the Wells and Wright were last seen early Thursday morning, December 20, 2012 in Kennebunkport, ME. They had been drinking with friends and it is believed the two were intoxicated when leaving the residence. It is not known when or how the men left the home. The police continue to investigate with the help of the Coast Guard and Marine Patrol checking the coastline. Kennebunkport Police Chief Craig Sanford said Maine Marine Patrol is searching the coastline while police are searching roadsides, the marshes and the woods for Zachary Wells, 21, of 5 Mills Rd., and Prescott Wright, 23, of 32 Post Rd. in Kennebunk, who disappeared Wednesday night. 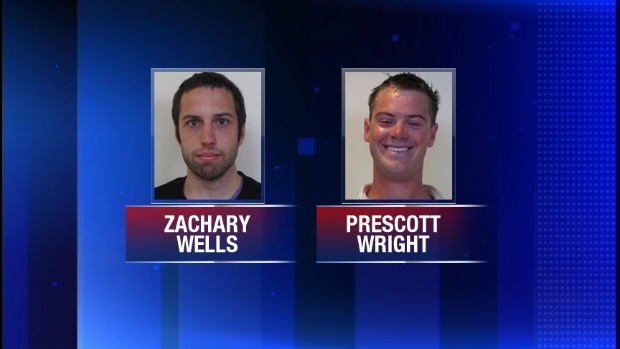 The two men were last seen at a gathering of friends at Wells’ home. Police said the two may have been intoxicated when last seen. Sanford said there was no signs of disturbance at the Mills Road. If anyone has any information about where these two men are, they are asked to call the Kennebunkport Police Department at 207-967-2454.